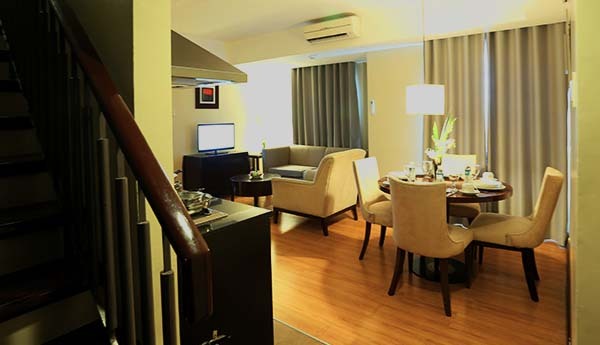 Lancaster Hotel Manila in Mandaluyong City, Philippines brings the comforts of home ever closer — and with greater panache. All the important elements are here, displayed in a refreshingly modern and clean style. The sleek fittings make the rooms appear larger and do not take away from the cozy feeling you seek from an urban escape. 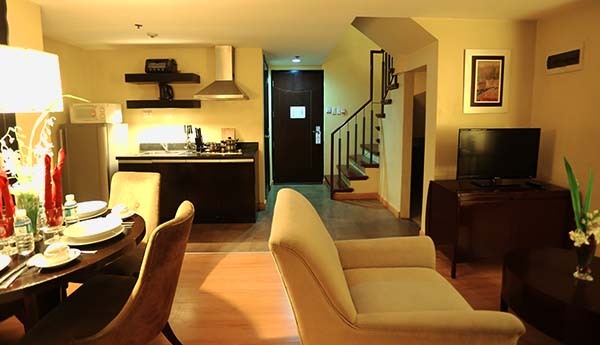 And with its separate kitchen and dining areas, our accommodations give you that warm residential feel. 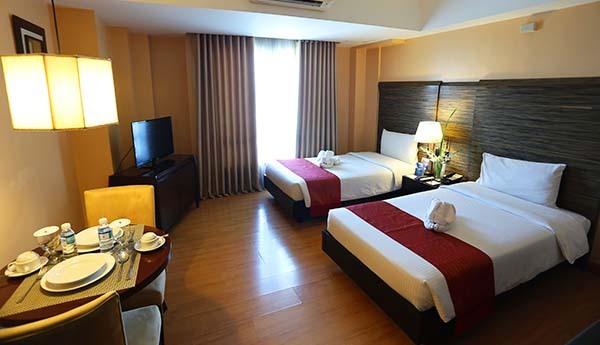 Lancaster Hotel along Shaw Boulevard offers four accommodation types: Junior Suite, Executive Suite, Lancaster Suite, and Deluxe Suite. 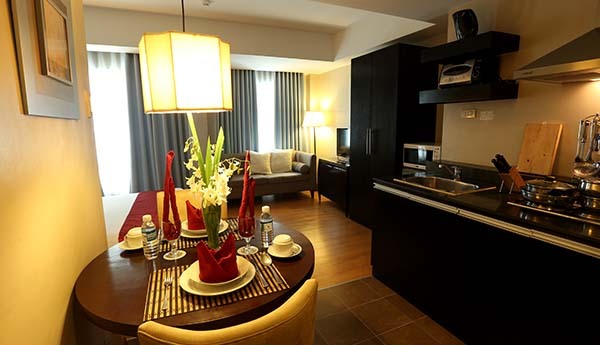 Guestrooms range from studios to three-bedroom loft-type suite designs. Choose a top-floor suite and enjoy one the best views of the surrounding area. Our Junior Suites beckon with their contemporary decor in a soothing palette of cream and gold. Dark-wood furniture and brown accents create an elegant feel, while the light wood floor fills the space with a homey and comfy vibe. During the day, natural light streams from large windows that open up to charming city views. 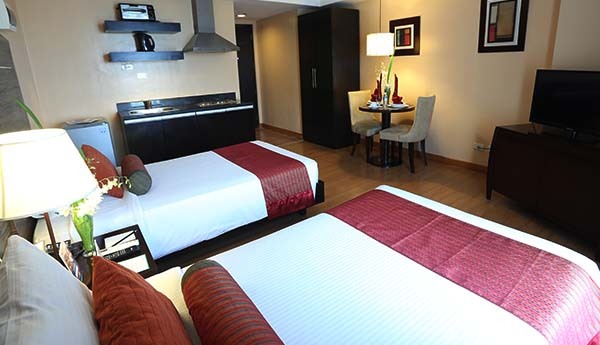 At night, the room is illuminated by softly lit lamps, ensuring restful nights. 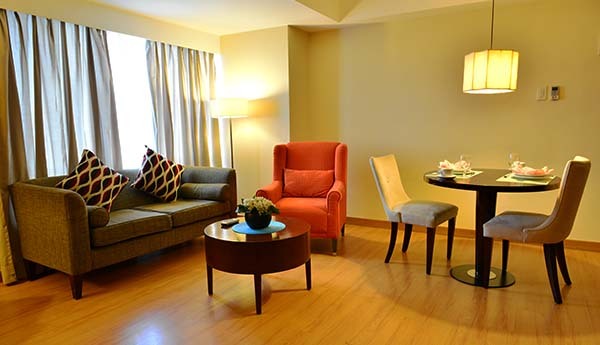 Lancaster Hotel Shaw Boulevard’s Executive Suites offer ample space and stunning views of the bustling city below. Rooms are well-appointed and feature beds clad in crisp, clean sheets, soft duvets, and plump pillows, so rest will come easy. For the hardworking businessman on the go, our Executive Suites come with a work desk and comfortable desk chair. 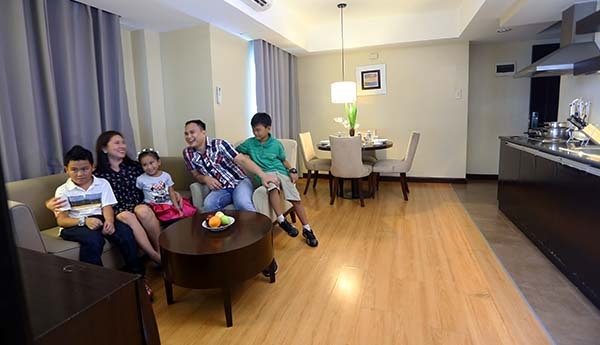 Open the door to this inviting 65-sqm room and experience the comfort of having a space that meets all your needs. 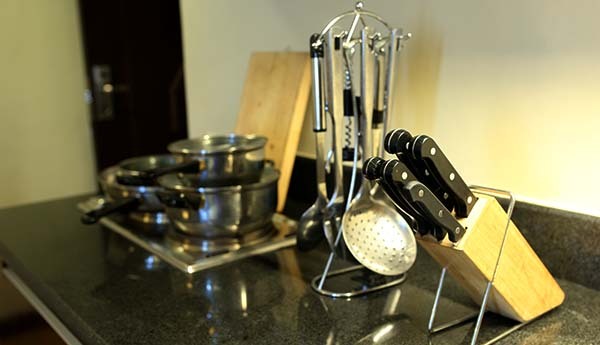 Fully equipped kitchen, dining and living areas, ample work area, and 2 bedrooms furnished with plush beds are all thoughtfully arranged to get you ready for work or play. 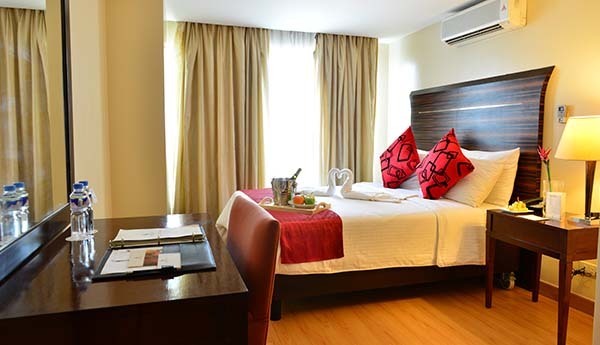 Breeze into our spacious Lancaster Suite accommodations which feature 3 bedrooms and a laundry area. 75 sqm of living space ensure you have more than enough room to move around even with 6 other people with you. It also comes with a work desk and chair so you can keep working on important matters even while you are away. 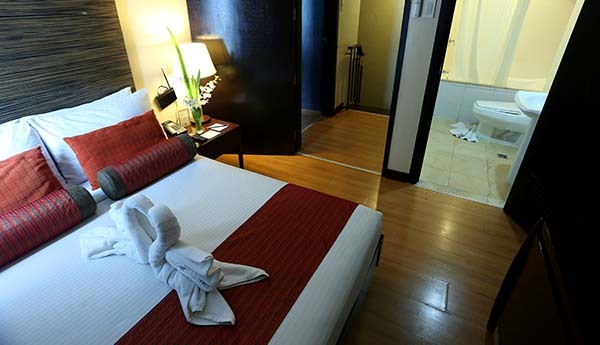 Enjoy numerous other services while at Lancaster Hotel Manila in Mandaluyong. Live the good life and take pleasure in having everything close at hand.